SHAAW TLÁA (Kate Carmack), Tagish; b. c. 1862 in the vicinity of what is now Bennett Lake, YT./B.C., daughter of Kaachgaawáa, the head of the Tlingit crow clan, and Gus’dutéen, a member of the Tagish wolf clan; m. Kult’ús, and they had one daughter; m. secondly in 1887 George Washington Carmack, and they had one daughter; d. 29 March 1920 in Carcross, Y.T. Shaaw Tláa, her parents, and her seven sisters and brothers lived in a Tagish village near the present site of Carcross. When she was a young woman, she was married briefly to a Tlingit man named Kult’ús, in a conventional alliance (he was her mother’s brother’s son). Both her husband and her infant daughter died of influenza in Alaska in the early 1880s and Shaaw Tláa returned to her village. Here in 1888 she began living with George Washington Carmack, an American who had formed a packing, hunting, and prospecting partnership the previous year with her brother Skookum Jim [Keish] and her nephew Dawson Charlie [Káa Goox*]. Kate’s union with George served to reinforce the alliance between her male relatives and Carmack. In the summer of 1889 Kate and George Carmack travelled up the Yukon River to prospect in the Forty Mile region. For the next six years, while George prospected, trapped, and traded along the lower Yukon River, Kate contributed to the meagre family economy by making winter clothing which she sold to other miners. 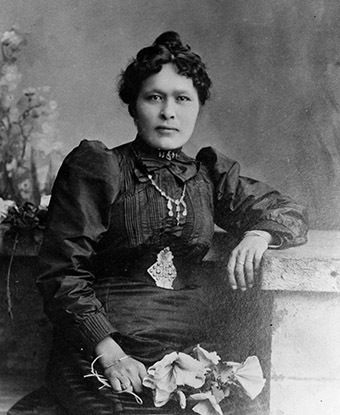 At Fort Selkirk in 1893 their daughter, Graphie Grace Carmack, was born. 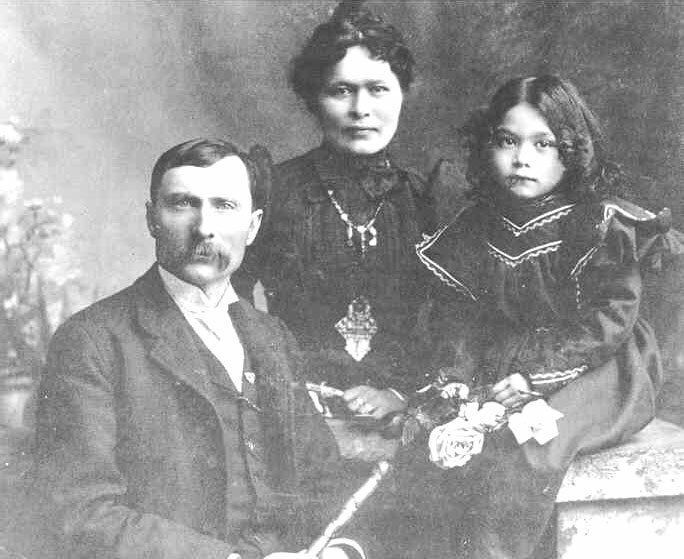 In late July 1896 Skookum Jim, Dawson Charlie, and another nephew, Koołseen (Patsy Henderson), came looking for the couple, whom they had not seen for several years. They found Kate with her husband and young daughter fishing for salmon at the junction of the Klondike and Yukon rivers. After catching up on family news and helping with the salmon catch, Jim and Charlie set off with George into the Klondike basin to prospect. In mid August, a few miles from the fish camp, they discovered gold on Rabbit (Bonanza) Creek. Within a year, the find had sparked the Klondike gold-rush, which brought tens of thousands of gold seekers to the Yukon and began permanent non-native settlement. During the winter of 1896–97, although they knew they would soon be rich, Kate and her family had no money. The men spent the winter sinking shafts in the bedrock, while Kate sewed furs into mittens and moccasins and baked bread to sell to other miners, an enterprise that often took in more gold than the men’s mining. Over the next four years, however, the family’s claims produced close to a million dollars of gold dust, and Kate no longer sewed or baked for others. With wealth came a lifestyle completely unfamiliar to Kate and her Tagish relatives, and difficulties arose. Her relationship with Carmack, having survived 12 lean years, could not withstand the pressures. 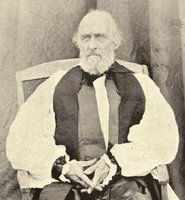 Alcohol became a problem for her, the marriage failed, and in 1900 George met and married a Dawson prostitute, leaving Kate almost penniless in California. She made several attempts at legal action against him, but tiring of the slowness of non-native justice, she abandoned the suits and returned to live with the Tagish people at Carcross in July 1901. There is no record of any financial settlement from Carmack. 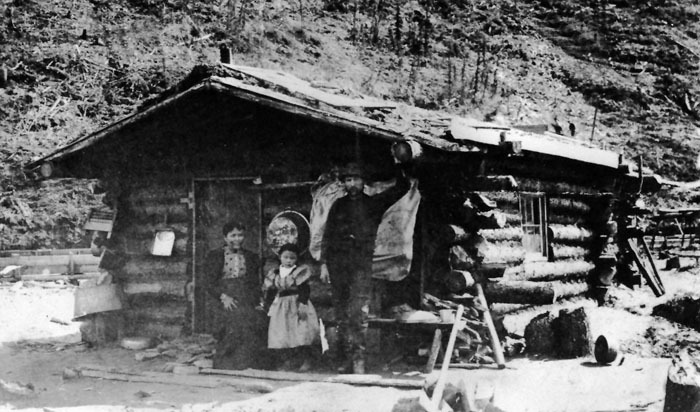 Skookum Jim, who had also severed his ties with Carmack, built Kate a cabin near his own house at Carcross. 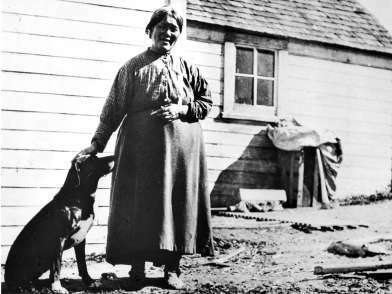 Her daughter spent several years with her, attending the mission and residential schools at Carcross and Whitehorse run by Bishop William Carpenter Bompas*, before moving permanently to Seattle, Wash. Kate lived out her life in relative obscurity, sewing items for tourists and nursing Jim through his final sickness. She succumbed to an influenza epidemic in 1920. Yukon Arch. (Whitehorse), mss 001 (acc. 82/31, W. L. Phelps papers) (photocopies; a copy is also available in NA, MG 30, C43); mss 254, PHO 480, SR 11 (1–12) (acc. 88/58R, Skookum Jim oral hist. project). G. W. Carmack, My experiences in the Yukon (n.p., ). J. [M.] Cruikshank, Reading voices: oral and written interpretations of the Yukon’s past (Vancouver, 1991). Patsy Henderson, Early days at Caribou Crossing and the discovery of gold on the Klondike (n.p., ). J. A. Johnson, Carmack of the Klondike (Seattle, Wash., and Ganges, B.C., 1990). William Ogilvie, Early days on the Yukon: & the story of its gold finds (Ottawa, 1913). Charlene Porsild, “SHAAW TLÁA,” in Dictionary of Canadian Biography, vol. 14, University of Toronto/Université Laval, 2003–, accessed April 24, 2019, http://www.biographi.ca/en/bio/shaaw_tlaa_14E.html.